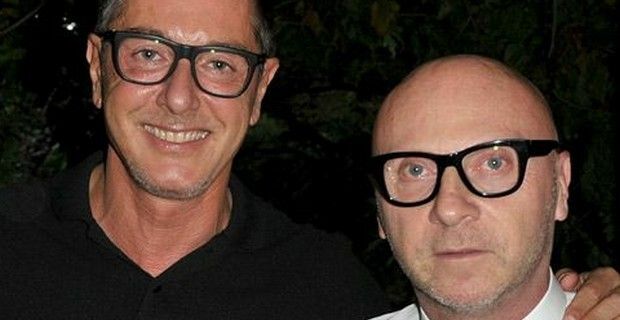 Domenico Dolce and Stefano Gabbana may have to close down their business activities if they are forced to pay the €343.3 million fine incurred in their tax evasion/fraud case, if Italy's highest appeals court, the Cassation, were to uphold the fine. The two designers have always denied allegations that they set up a holding company in Luxembourg to avoid having to pay the high corporate taxes that exist in Italy. Even if during the next appeal, D&G will probably get their 20 month jail sentence lifted, if not suspended, they may still be forced to pay the hefty fine. Italian prime minister Enrico Letta declared that the country will "fight relentlessly" against tax evasion to recover resources in Switzerland or tax havens’ and this certainly will not help the designers cause. Interviewed by one Italy’s major newspaper's – Corriere della Sera – , Domenico Dolce said, "We will close. What do you want us to do? We will close. We will not be able to deal with it. It's impossible." The two continued to proclaim their innocence and said they are upset, because they do not want "crucified like thieves because we are not," and "we are good people, we live in Italy and we pay taxes in Italy. We don't pretend to live abroad." “Why should want to dodge taxes, we only want to design clothes,” said Gabbana. Dolce and Gabbana’s value at the time of Gado was estimated byPrice Waterhouse Coopers to be 360 million euros and by the tax authorities to be 1,193 billion, which was later lowered to 730 million euros. "If we deserved the sentence, there would be nothing to say," said Gabbana. "But we do not deserve it, and so unfortunately we would have to close." After their controversy and having made peace with city of Milan, the mayor of Agrigento, Sicily, Marco Zambuto, has offered D&G, the splendid archaeological park of the Valley of Temples to hold their next fashion show.